« See more Crescent Decorative Matboard 32" × 40"
For most framing jobs. 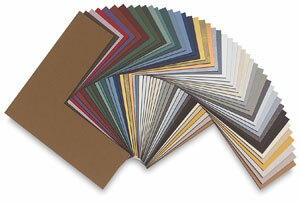 Provides unlimited matting combinations to enhance artwork. Also for crafts, posters, decorative art. Surface paper is highly fade-bleed resistant. Cream core is reclaimed wood pulp fibers. 4-ply.